When buying dog food, it’s only natural for pet owners to look at the ingredients list. However, this may not necessarily give you all the information that you need to make decisions about what your dog should eat. Apparently, even the leading dog brands may not be accurately reporting the ingredients and nutrition facts on their packaging. 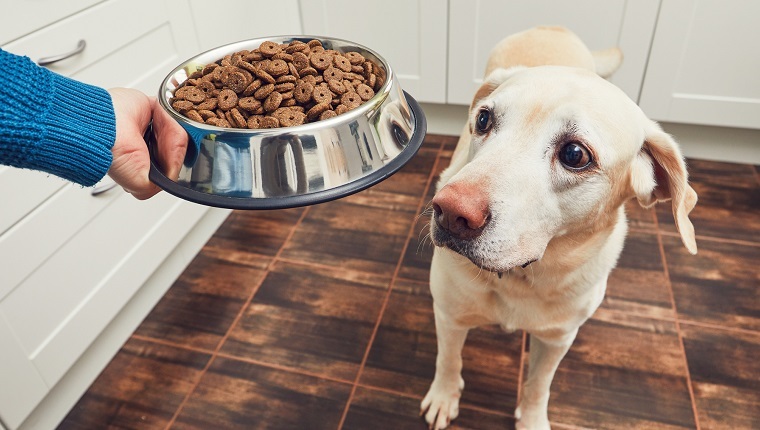 According to a new study by Everypaw and Veterinary Consultant Dr. Eric Jackson, 20 of the top dog food bands may not report the right nutritional values. Potentially harmful ingredients like salt and carbohydrates may not be correctly listed. Worse, up to 30 percent of food brands do not even put salt levels on the label. That may lead some pet owners to assume that the brand does not contain salt. The same goes for fat, assured Dr. Jackson. Almost half of the brands would leave off the total percentage of fats from carbohydrates in the products. Salt adds flavor to your dog’s food, but can harm dogs in high doses. That’s why it’s necessary to avoid excessive salt, as it can cause different conditions including hypertension, kidney issues, and heart diseases. Furthermore, you should know what goes into your dog’s food to avoid obesity or unhealthy weight gain. Unlike cats, dogs are omnivorous animals. They have evolved to eat most foods—but that doesn’t mean they should. Every dog needs balance in their diet. Carbohydrates make up the greatest percentage of dog food–between 30 and 70 percent of the meal. Proteins help build strong muscles and tissues. Make sure your dog’s diet consists of up to 25 percent proteins to get all the essential amino acids. These may come from chicken, beef, turkey, lamb, and soy beans. Not all fats are bad but you need to limit their intake to anywhere between 10 and 15 percent of the meal. Remember, always pair this with exercise! Speak to your veterinarian or pet nutritionist before making any changes to your dog’s diet. Some dogs have special, individual needs, and you should seek professional guidance to make sure they get the most beneficial food. The first step for making the right doggy diet, as mentioned, is to talk to dog’s vet when it comes to food matters. There’s more to feeding your pup than just choosing a dog food brand and putting it in their food bowl. You need to know about certain nutrients and the right amounts that your dog needs. Apart from your vet consultation, look for foods that have all ingredients and nutrition facts listed on the package. Opt for low-caloric diets. Older dogs tend to be less active, and therefore may need reduced energy intake. Calorie counting isn’t always that bad, especially when it’s for your pup’s health. Of course, you can also talk to your vet about preparing your dog’s food, yourself. You should not do so without professional guidance, as some human foods can harm dogs. However, this will allow you to know exactly what is in your dog’s food. What do you think about shady or incomplete labeling from dog food brands? Are there other ways to keep your pet’s diet safe and healthy? Let us know in the comments below!